Need more information about booking Home 7330650 ? 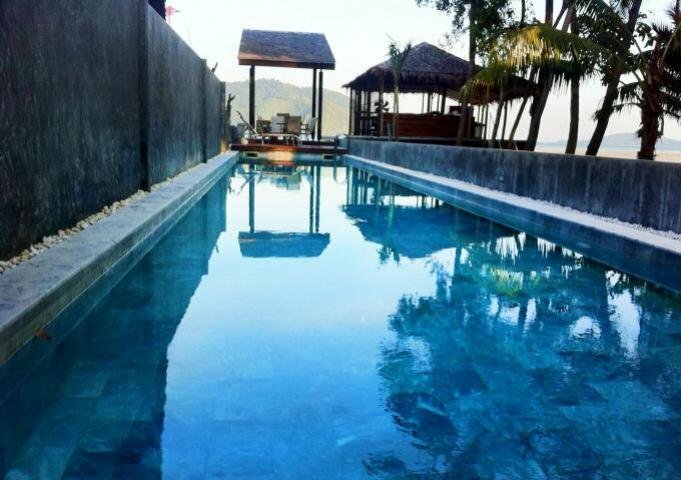 Located on the waterfront south of Phuket, luxury villa with direct beach access. View over the sea and the islands of Phuket. luxury villa can accommodate 4 people. It has 2 large double rooms with dressing room and work area, a bathroom with walk-in shower for each room. The kitchen is open, very modern with a central island, fully equipped (oven, hob, toaster, microwave, coffee maker, refrigerator, water cooler ...). A covered terrace facing the pool or you can lunch in the shelter of the sun terrace with loungers and garden furniture. A large swimming pool with salt with an outdoor shower. You have an exclusive and unlimited access to the villa. Cot on request (50 euros / week). Possibility to rent a car or scooter to get around.